We are the company Sofura d.o.o. Under the trademark Prekmurje in the palm of your hand (Prekmurje na dlani) in cooperation with our partners we offer additional tourist offer, which provides the visitor additional activities and events. The centre of this tourism offer are Panonske Terme, which beside the spas in Lendava, Radenci, Banovci and the spa in Ptuje offer Terme 3000 in Moravske Toplice. The latter are considered the centre of the Prekmurje tourism offer. We are also aware that the typical visitor nowadays is much more demanding as he requires more than just a pool complex with accommodation. It is the modern tourist who we focus on and who’s free time we wish to fill. 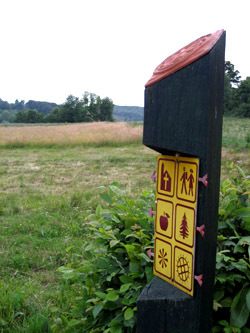 We offer an active and genuine stay, discovering the countryside and the unique experience in the Prekmurje plain. When visiting Prekmurje we would like to offer a genuine experience of all sights and beauties the region offers.